Imagine a site that fits all for your catering needs. 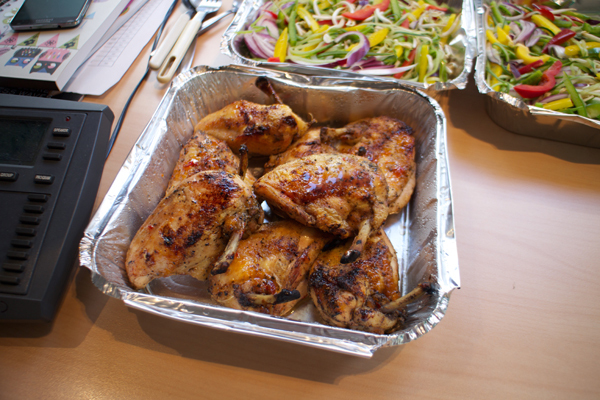 You have that special event, party, the big plan or even the simple office lunch rounds. City Pantry is the one stop site to make things simple. Go online, answer a few questions, look for vendors, and add any dietary notes and delivery time and voilà you are all sorted. 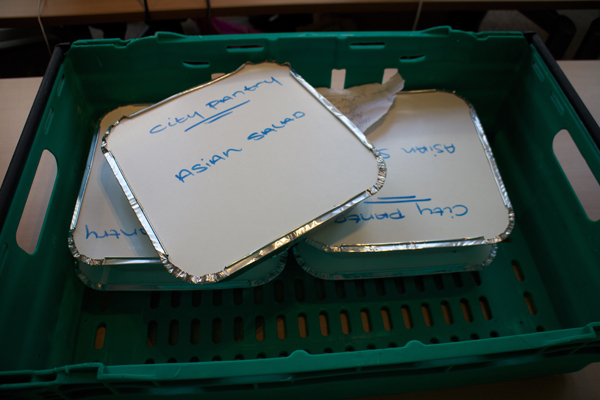 City Pantry wanted me to trial out their services, I already been to their street food event last summer. 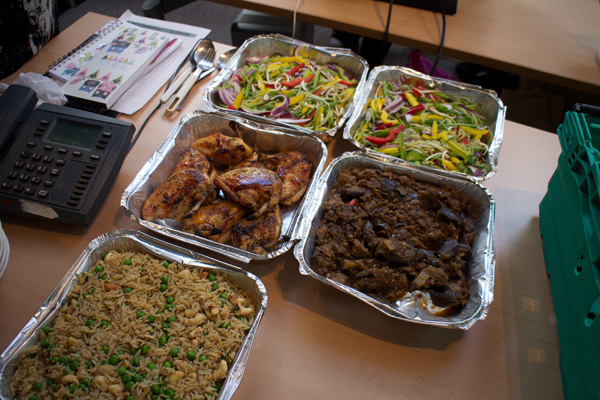 I got to treat 7 other colleagues to a nice wholesome and hearty lunch. Making an account was easy; searching for vendors for the Hammersmith area was quite difficult. Only one result with St Helen’s café showed up, with a choice of either an Italian or Asian platter. My colleagues have strict dietary requirements, one being vegetarian and does not eat meat at all and a few that does not eat pork or shellfish. With 24 hours notice, I made an order online the day before for lunch to arrive at 12:30 pm. Once all the order was all confirmed, there’s another email going out for you to track your delivery driver via a GPS map in real time. 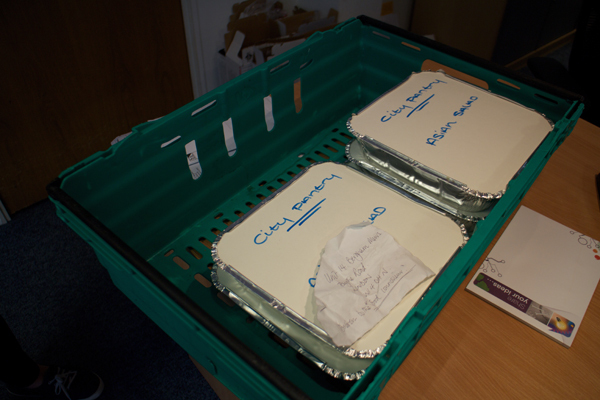 Arriving in a crate with big metallic foil trays, and plastic platters we set out a table and opened up the food. 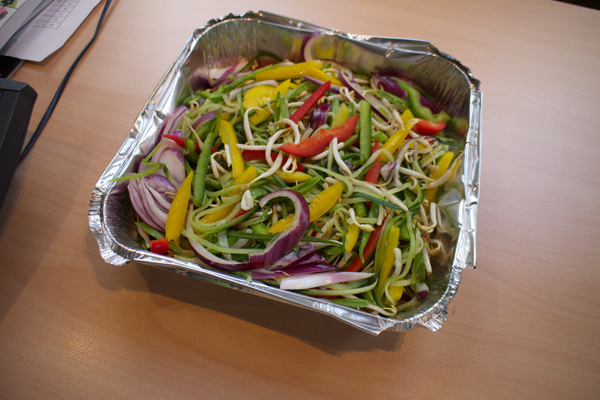 Colourful and bold Asian slaw cut thinly sliced filled with red, yellow peppers, carrots, radish, cucumbers, daikon, bean sprouts slightly seasoned lightly with soy and ginger dressing. 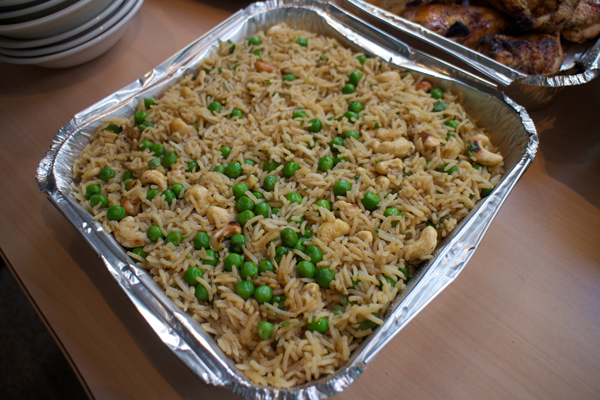 Fried white rice salad was an interesting take, containing cashews and coriander. Roast chicken legs were mouth filling with a tender texture and bold flavours a tinge of ginger, and exotic mangoes. 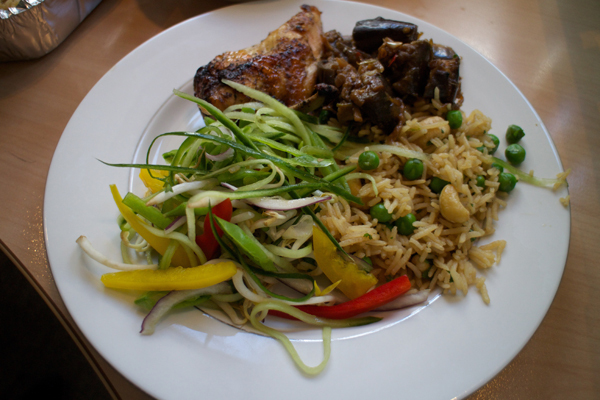 Amongst the group not a lot of people are usually big fans of aubergines, but St Anne’s Café dish blew them away. A Thai aroma fiesta, with small kicks of red chilli peppers tantara on the tongue. 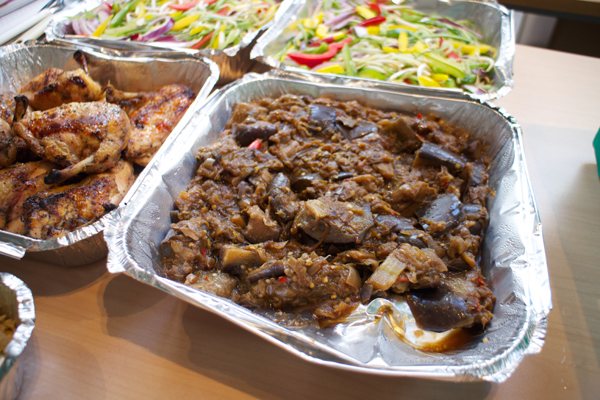 There’s nothing but praise for the food, service and something different to usual takeaway food. Although there’s not much of selection of vendors for Hammersmith Area, I see there are plenty other great vendors in other areas.